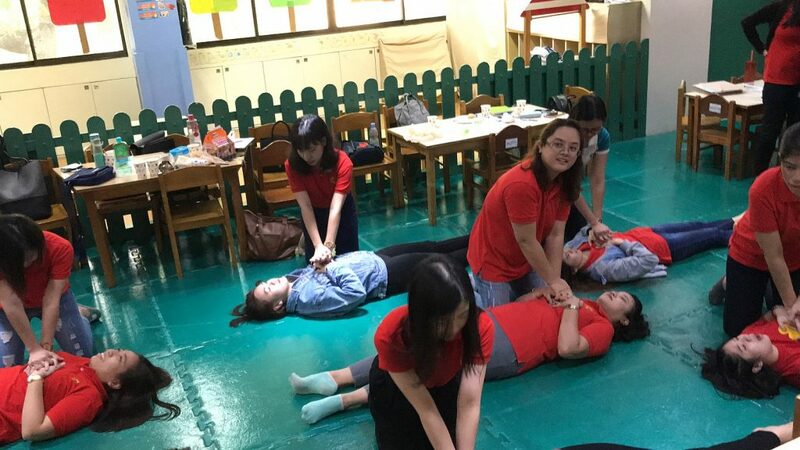 As part of our professional development for our teachers, our training team organized a First Aid Training in partnership with Red Cross last October 13 at Cambridge Salcedo. We were lucky to be trained by a red cross rescuer, Mr. Jasper Noel C. Barba. Aside from the basic DOs and DONT’s of first aid, our teachers were also taught how to conduct CPR in case of emergency.